Come spend the night BOUNCING, TUMBLING and CLIMBING the rock wall at our open gym. You also get 2 slices of pizza with your admission. This is for kids ages 5 &Up and open to the public. All parents or guardians must sign a waiver at drop off. 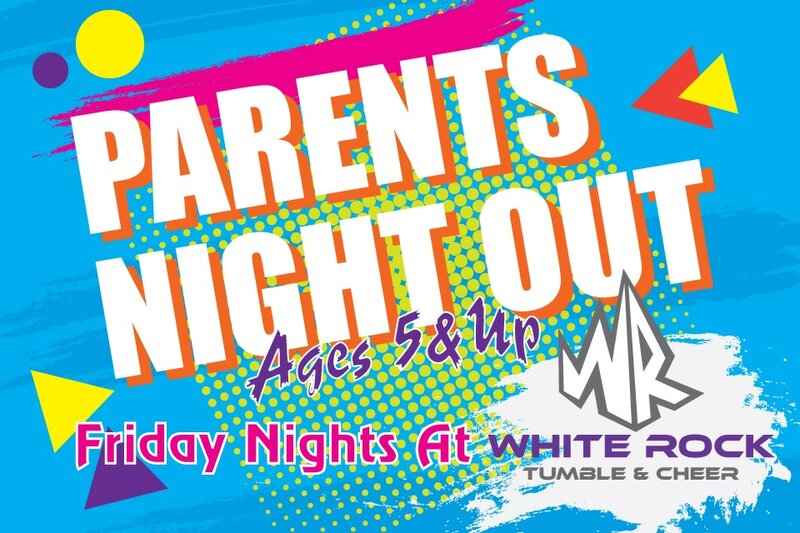 Parents Night Out is limited to 30 participants. Reserve your spot online.